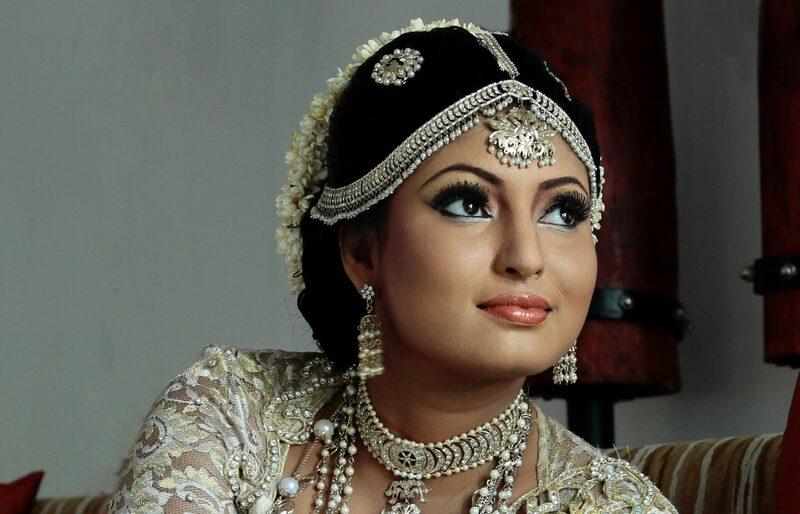 A traditional Indian bride is all about extravagant bridal outfits and opulent Indian jewelry. No bridal look is complete without the right ornaments. As mentioned in our ancient scriptures, a bride must adorn 16 adornments to complete her bridal look. And these jewelry pieces are not ordinary, everyday wear ones. Bridal jewelry is trinkets that are specially designed to enhance the bridal spark and beauty. Therefore, it is imperative that each piece is chosen meticulously, keeping in mind the bridal ensemble and taste of the bride. Every ornament has its own distinctive ability to enhance the particular facial feature or bodily aspect as it is worn on. From times immemorial, Indian jewelry has been an integral part of women’s trousseau. Even before women started using cosmetics, they wore jewelry for aesthetic, spiritual, religious, and medicinal purposes. Over the years, Indian jewelry has become fashion wear, and modern brides are looking for designs that will suit their modish personalities. In 2019, the bold and maximalist style of jewelry is back. Mixing and matching and layering of some classic designs are the latest trend. To create that vintage royal look, stacking up and layering of the finest classic baubles are in. At the same time, girls are opting for diamonds and gemstones with unusual color for the big day. Here are some trending Indian jewelry designs to watch out for. Mathapatti is an elaborate form of head jewelry. Maangtikka and mathapatti are back in fashion, and brides are choosing some unique and profligate designs for themselves. Mathapatti with ghungroo hangings is trending big. Modern brides of today and even Bollywood starlets like Deepika Padukone and Anushka Sharma sported these gorgeous tinkling pieces of jewelry on their wedding days and looked absolutely spectacular. 2019 is expected to bring forth more elaborate designs for the brides that love to keep it stylish. This delicate piece of jewelry is a perfect addition to enhance the beguiling feminine appeal of brides. The modern bride is confident and lively. She loves to show off her exuberant taste and style. Therefore, brides such as Bollywood diva Priyanka Chopra opted for layered necklaces that is an elaborate piece of Maharani necklaces. The coverage is so wide that it begins close to your neck and falls down to touch your belly. These layered necklaces are made with a mix of gemstones and semi-precious stones paired with uncut diamonds on gold metal. There is a huge variety available in these types of necklaces. You can choose from vintage Victorian style to traditional Kundan style. Each piece is a masterpiece designed to bring out the true empress in her. Inspired by antique jewelry, these necklaces are sometimes called imperial necklaces designed in Maharani style. Bridal chokers have been in trend for a while. Chokers are ornamental necklaces that fit closely around the neck. Indian jewelry chokers are particularly popular in bridal jewelry form. 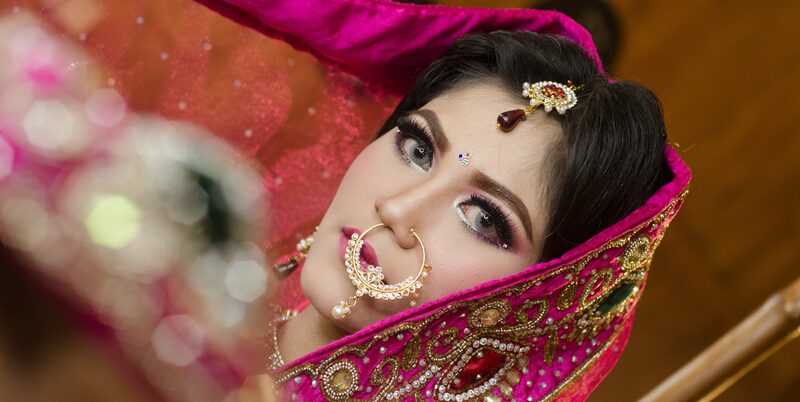 All gold, jadau, meenakari, polki, and kundan are some of the popular styles that brides are choosing for their big day. A combination of nine gems put together for the navratan choker is another much-loved style for Indian women. Inspired by Mughal dressing, these enlivened and heavily embellished neckpieces give the wearer a royal look. Pairing it up with complementing mathapatti is the recent trend. The tradition was revived by India’s biggest designers like Sabyasachi and Manish Malhotra, and it was sported by the biggest celebrities. If you are looking for trendy bridal wear, you can buy the latest Indian jewelry online on Lashkaraa.com, the one-stop shop for everything ethnic. 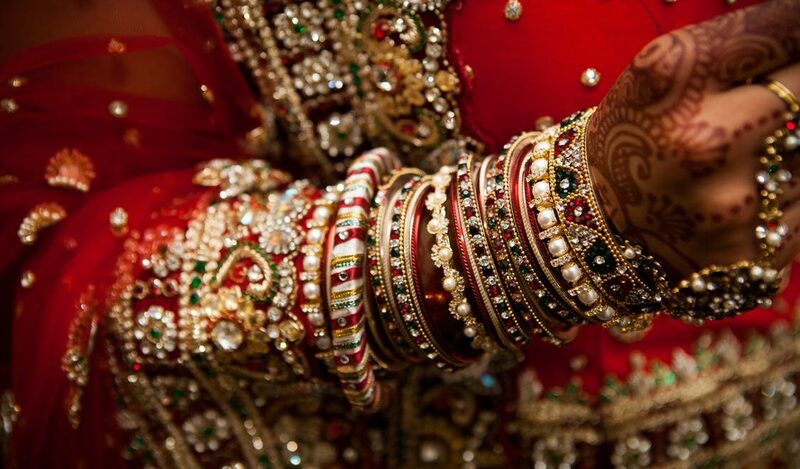 For the longest time, brides wore matching sets of bangles on their bridal day. However, trends are changing, and brides with edgy fashion sense want to experiment. Once again taking the example from Bollywood queen Deepika Padukone’s wedding ensemble, stacked up bangles teamed with bold gold cuffs is the latest trend for bridal bangles. Mix and match pairs of bangles and cuffs that will complement your bridal look. There are a plethora of bangles to create this look to add vintage, regal appeal to your attire. Mix and match colorful gemstones with diamond bangles for a majestic look. With its origin in South India, this antique style jewelry has found popularity around the world. Women with classy taste enjoy wearing these ancient patterns in the form of statement necklaces, cuffs, and earrings. Originally, this type of jewelry was used to decorate the idols in the temples. Nowadays, women are using this jewelry to create an iconic look for their big days. Most of the baubles belonging to this category have divine goddesses crafted in gold. It is one of the hottest trends for someone who wants a traditional look. Each piece of this jewelry exhibits fine craftsmanship and exceptionally skilled artistry. Made of pure gold and expensive red and green stones, this piece of jewelry is costly and heavy to wear. 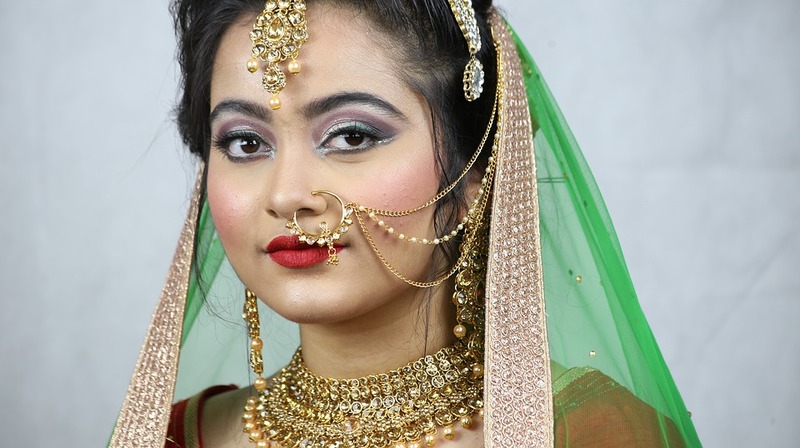 Another must-try Indian jewelry trend for brides to consider is oversized and heavily ornamented nose rings. 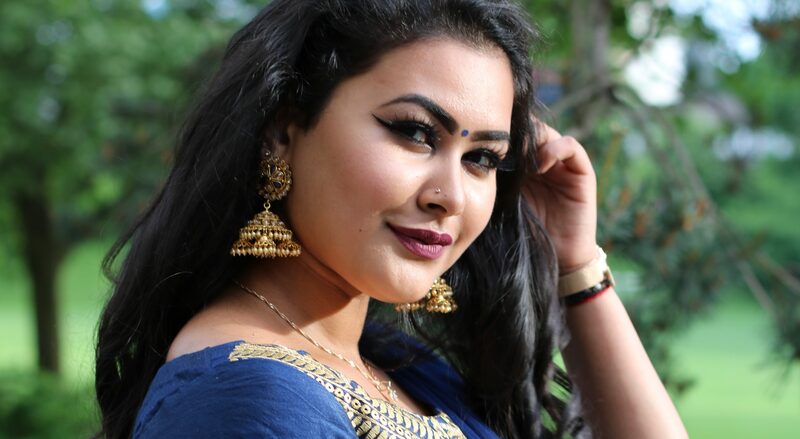 These nose rings are larger than the usual wedding nose rings and they are heavily embellished with chosen finest crystals and stones. 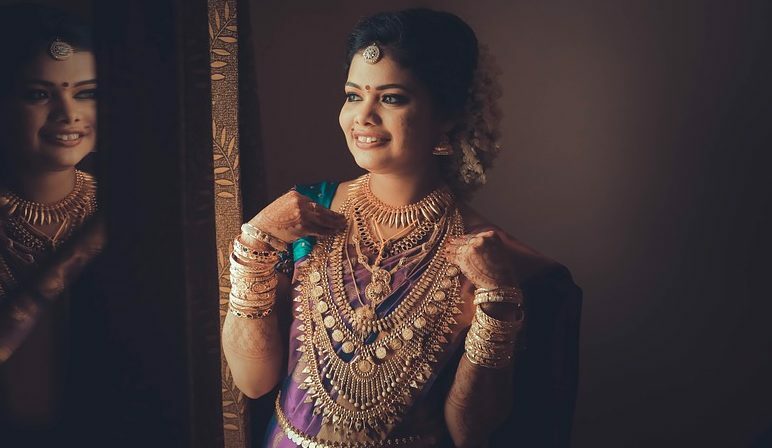 Some of them are designed with multiple ornate chains that give the bridal jewelry an ethereal touch and instantly enhances the bride’s natural beauty and glow. These are a few of the trending styles in Indian jewelry for brides. There is a diverse range of such jewelry available in the market. Upgrade your look magnificently by picking one that complements your attire and facial features the most.